This Tennessee hotel features an outdoor pool with a sun deck, a fitness centre, and a 32-inch flat-screen cable TV with HBO® in every room. Tri-Cities Regional Airport is 17 minutes' drive away. Free WiFi and a coffee machine are included in the contemporary rooms, which have a green wall. Each room at Hampton Inn Kingsport also provides a desk and comfortable seating area. Guests can enjoy a daily breakfast buffet that features waffles, omelets and sausage. Kingsport Hampton Inn offers free daily newspapers along with a business centre. Warriors Path State Park and Fort Patrick Henry Lake are within 6 miles of the hotel. Bristol Motor Speedway is 30 minutes' drive away. 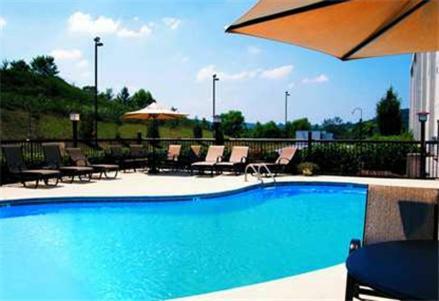 the hotel Hampton Inn Kingsport so we can give you detailed rates for the rooms in the desired period.